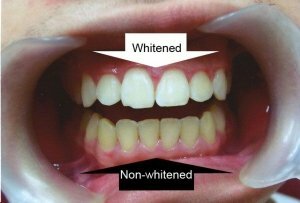 Looking for a Teeth Whitening Dentist in Albury? Are you happy with the way your teeth are, except for their colour? Do you smoke or drink lots of caffeine, and hate the stains that make your teeth look yellow and aged? The Mate Street Dental Clinic and their team of experienced dental technicians provide dramatic teeth-whitening treatments to improve your natural smile. People with whiter, beautiful smiles have more self-confidence. Your smile is one of the first impressions that you make on other people, so don’t hold it back! After just a short period of time you can benefit from a naturally whiter smile that could improve your social and professional life, as well as the way you feel about yourself. To find out if you’re a candidate for whitening, or which type of whitening would work best for your needs, call The Mate Street Dental Clinic today and schedule a consultation visit with one of our Albury based tooth-whitening professionals.